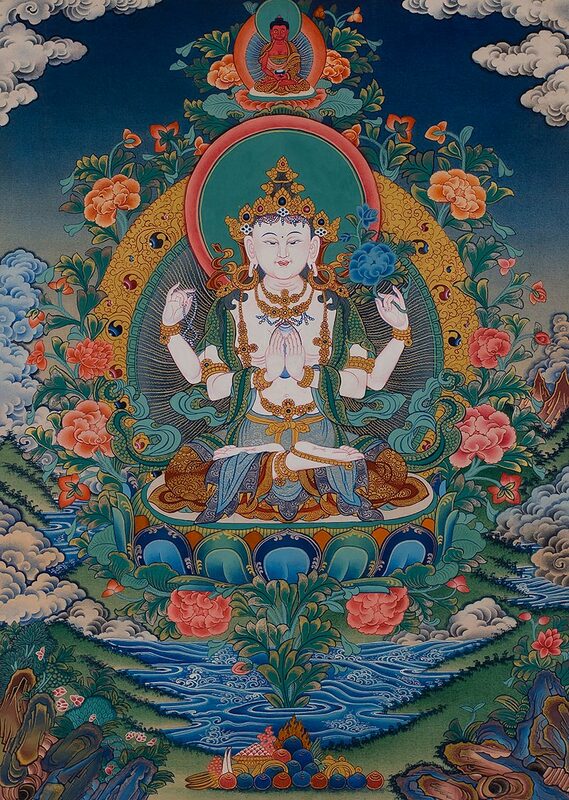 The term peaceful deity is, in itself, an explanation of what these divinities are. 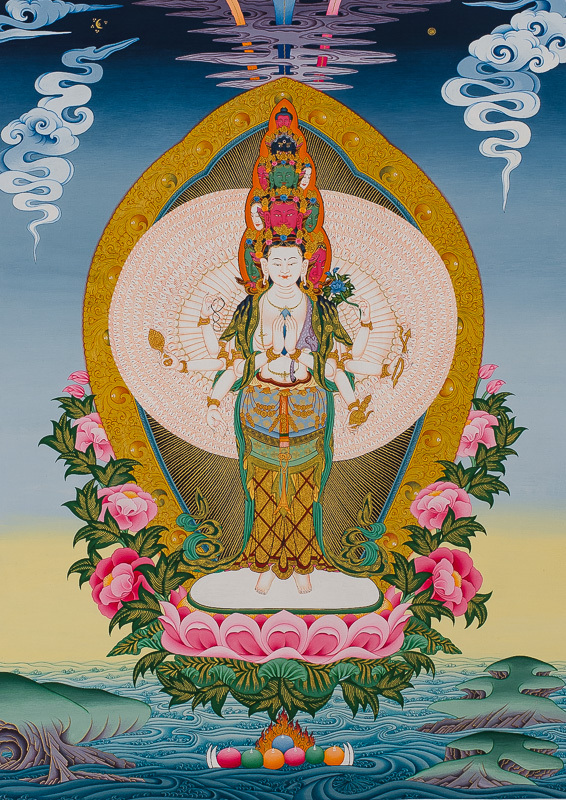 As we discussed in the THANGKAS section, the Buddhist pantheon is vast and therefore requires a system of classification. 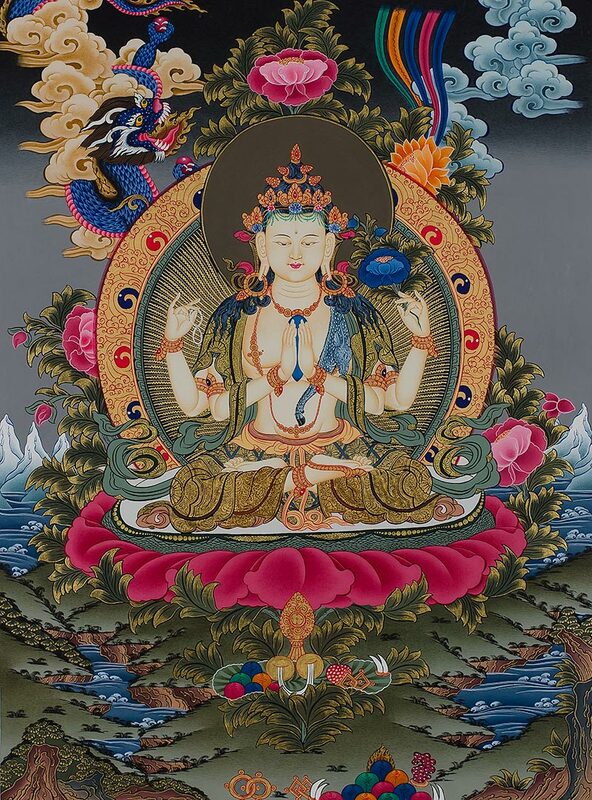 In this section of the gallery you will find Buddhas, Bodhisattvas, Female Deities and Padmasambhava (in his various forms). 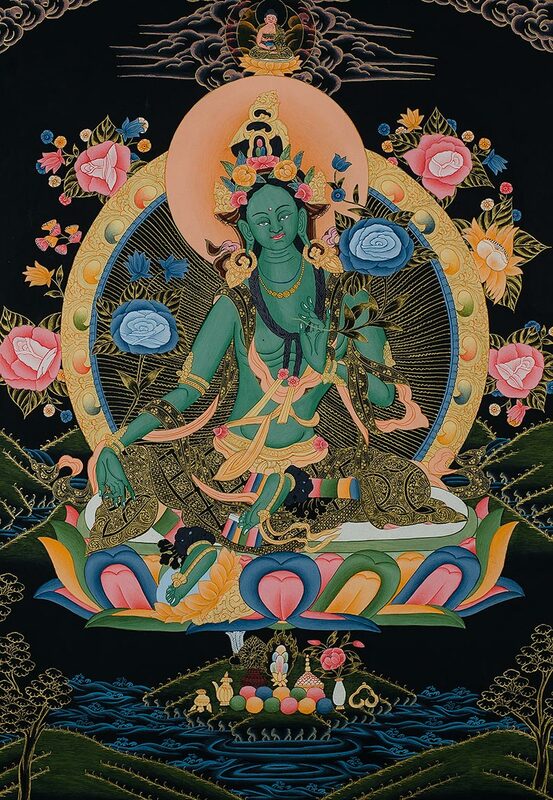 Although Padmasambhava is considered a semi-peaceful and semi-wrathful deity, I find this structure to be easier to grasp. 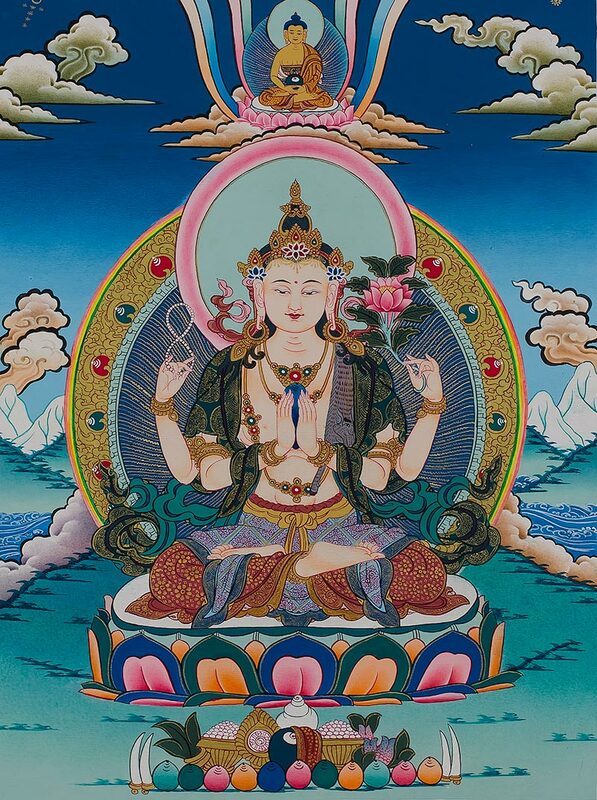 Althought there are different methods, we believe this system is gloabally accepted. 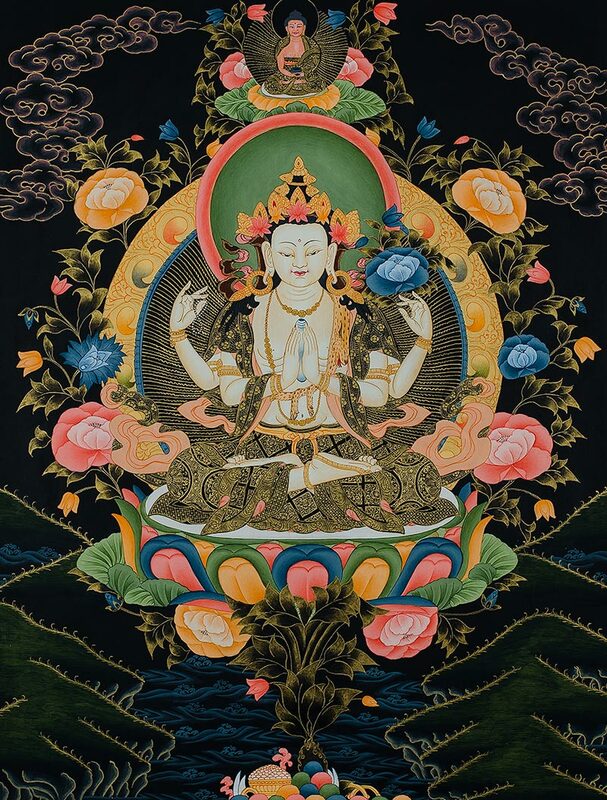 The beauty of Buddhist art is in the expressions of the faces and the immense precision involved in creating these serene and soothing faces. 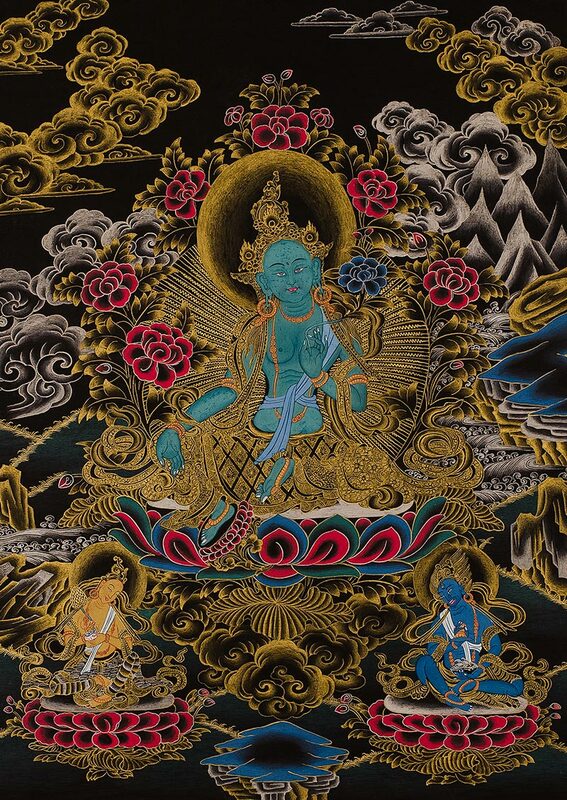 Thangkas have almost always been judged for the precision of the brushstrokes as these are icons and there fore breath peace and serenity. 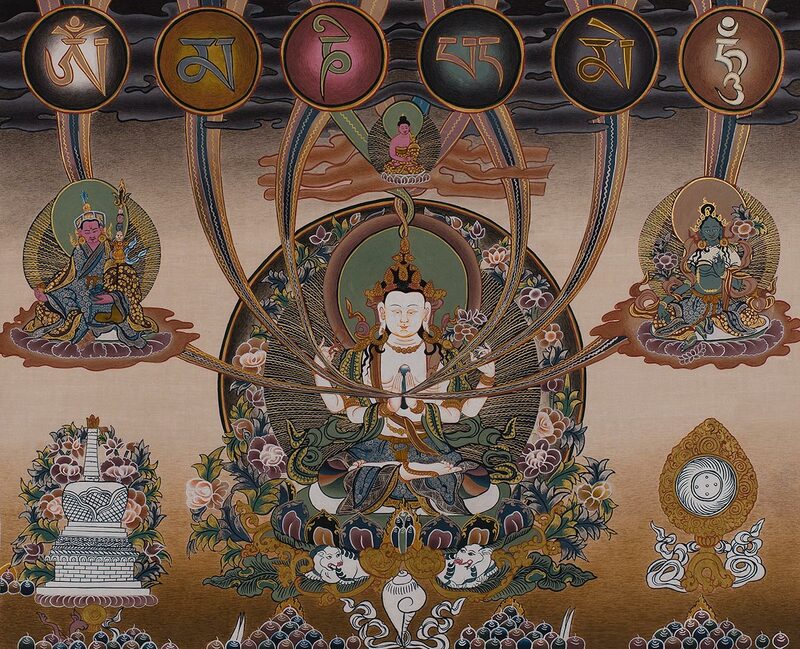 Each deity will carefully be explained in the sections below ! 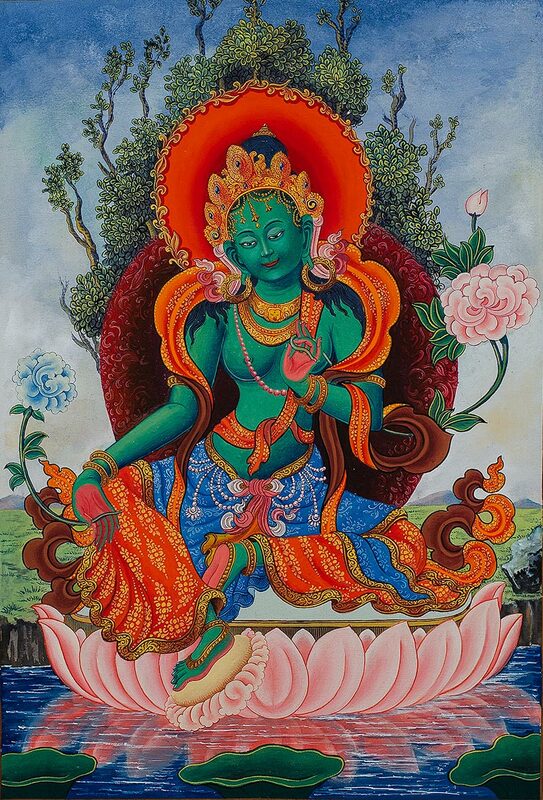 The paintings you see here represent over 30 years of work and some of the finest paintings painted by Nepali artists at their very peak. 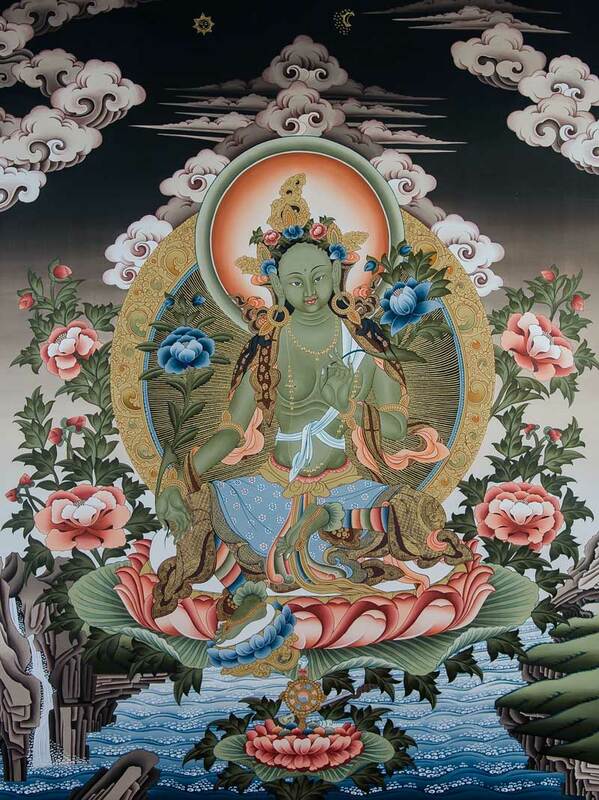 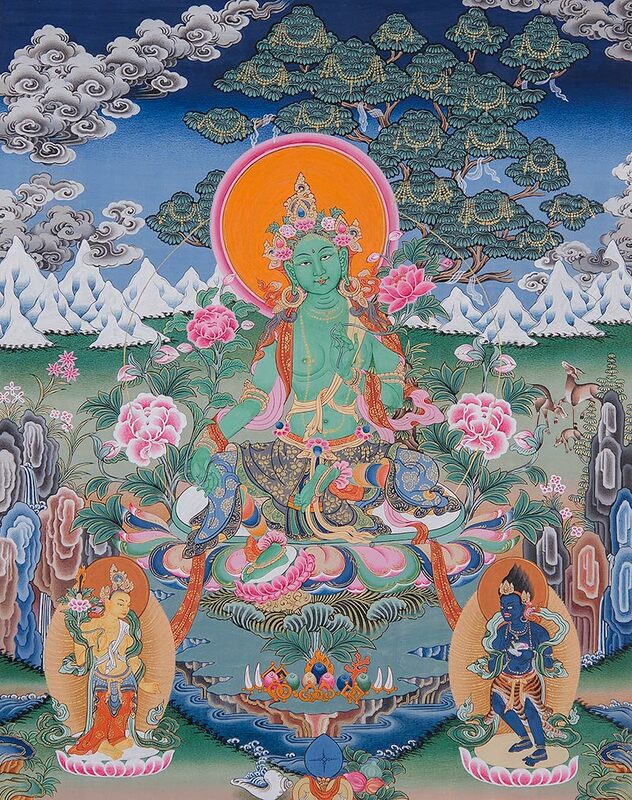 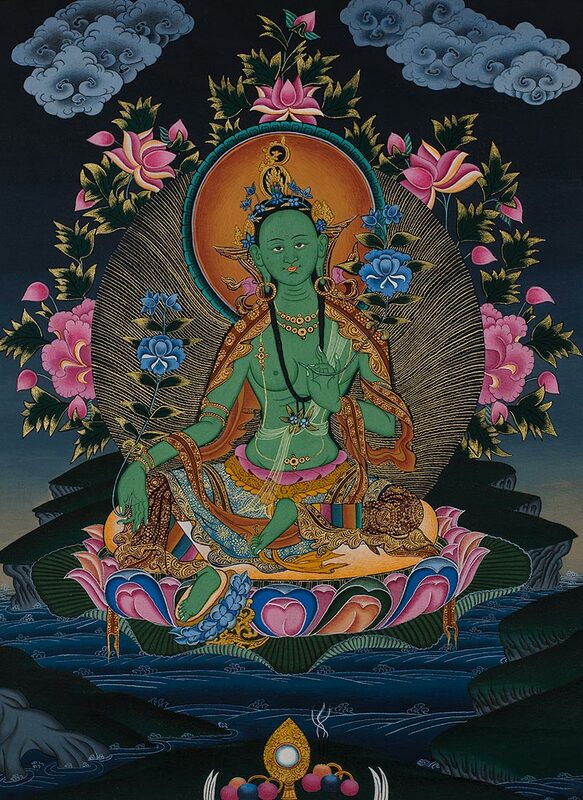 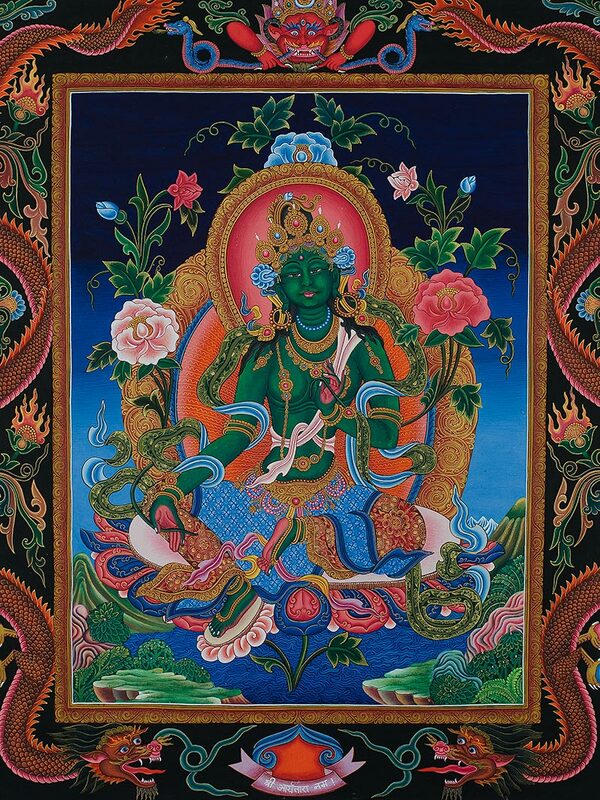 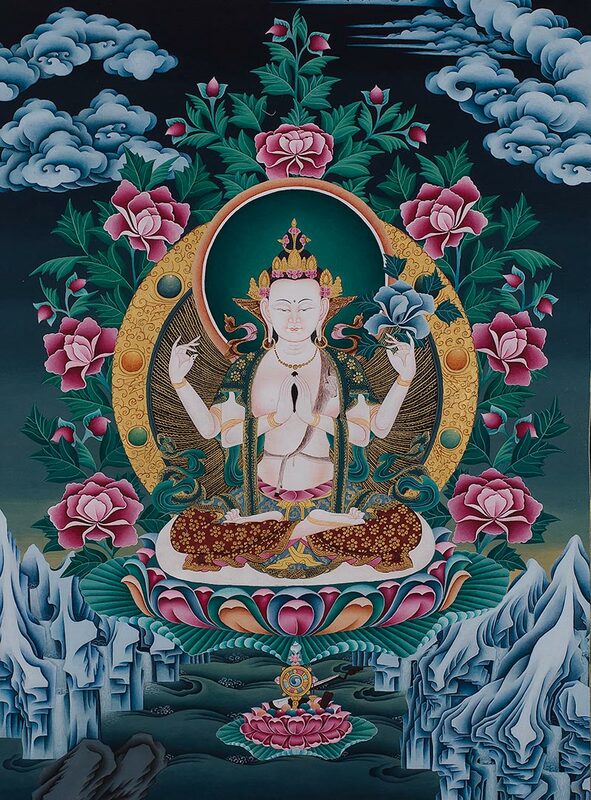 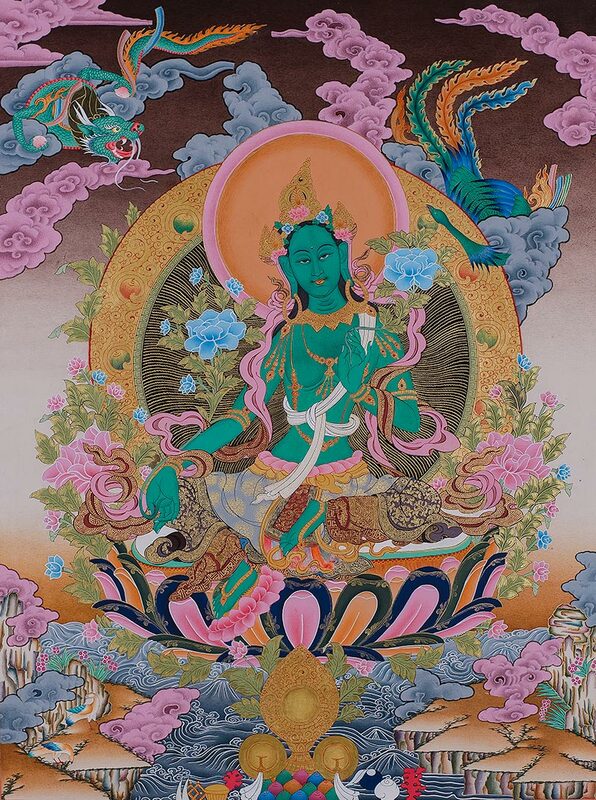 It is no surprise that we often find ourselves captivated by the peaceful and calm presence of these thangkas.